Not quite as great a feat as Leicester City winning the Premier League in 2016 but any fans who followed football in the 90s will recall the achievement of Manchester United winning the treble in 1999 with them scooping up the Premier League, FA Cup and Champions League in the same year. 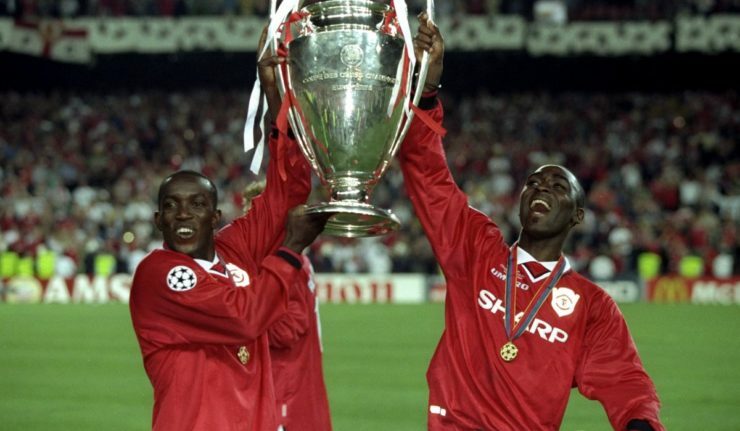 Two of the stars from that season were the front partners, Dwight Yorke and Andy Cole, and now they’re coming to Leicester on Thursday 1 February for an evening of nostalgia and 90s football tales. This exclusive event will be hosted at the Excutive Suite at the King Power Stadium and only 250 tickets are available ensuring that everyone at the event gets to meet the two former players. With tickets available at just £40 including a photo meet and greet it’s a bargain for any fans of the strike partners, or anyone who wants to hear the tales of Champions League winners. Tickets are available now from Eventbrite and we’ve managed to grab a pair to give away to one lucky Cool As reader. To enter the competition for a pair of tickets to the event on Thursday 1 February simple answer the questions below. Entries close on 12 January 2018 with the winner contacted via email shortly after the closing date. Which club did the 2 players play at together?